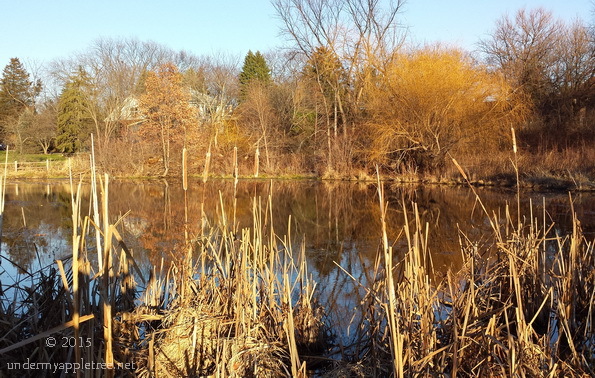 Almost wordless: The late afternoon sun enhanced the remaining colors of autumn. It’s been a very warm lead-up to winter, which I hope takes its time arriving. Walking in the park has been very pleasant the past few weeks. This is a pretty golden scene! Wow. That’s a super capture. Amazingly, I captured this with my phone camera. I was shooting with the DSLR and was not happy with any of the frames, I just couldn’t get the lighting right. As I was leaving the pond, I took a few quick shots with the phone and was pleasantly surprised.